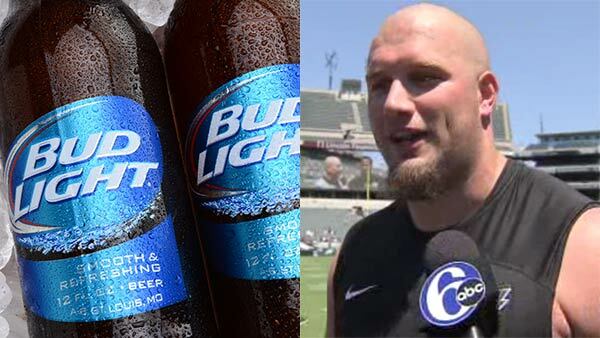 PHILADELPHIA (WPVI) -- Bud Light has not forgotten about its promise. Back before the season began, the beer company promised should the Eagles win the Super Bowl, they would throw a party for Philadelphia. With the Birds one step away from achieving that goal, some fans went to social media to question if Bud Light will still fulfill its promise. "We haven't forgotten," they tweeted. Their other responses included the promise is still on because "it's on the internet" and "Thou still have one battle left to become victorious!" For those wanting the beer now, they say "Did you win the Super Bowl yet?" During an open practice last summer at Lincoln Financial Field, Eagles right tackle Lane Johnson made his own promise of sorts. "I've got a lot to prove to this city," Johnson told reporters. "I think if we have a few big years and make the playoffs, if we win a Super Bowl, I'm giving out beer to everybody." The speculation began about how would this prize be possible? How exactly would this work? As ESPN's Tim McManus pointed out, "Johnson might want to clarify his beer comments just in case. According to the 2016 census, the city of Philadelphia has a population of around 1.5 million. Of that number, roughly 75 percent are adults. If he bought a drink for every of-age man and woman in Philly at $3 a pop, he'd ring up a bar bill of around $3 million." But that's when Bud Light chimed in with an idea. The beer company tweeted Johnson, "Let's make a bet. Win it all and the party is on us. Deal?" "This one's for you Philly!" Johnson replied. Recently, Bud Light posted a video congratulating the Eagles on making it this far. They even changed their 'Dilly Dilly' catchphrase to 'Philly Philly' for Eagles fans. So the Eagles just have one more thing to do to get that party. Philly Philly!